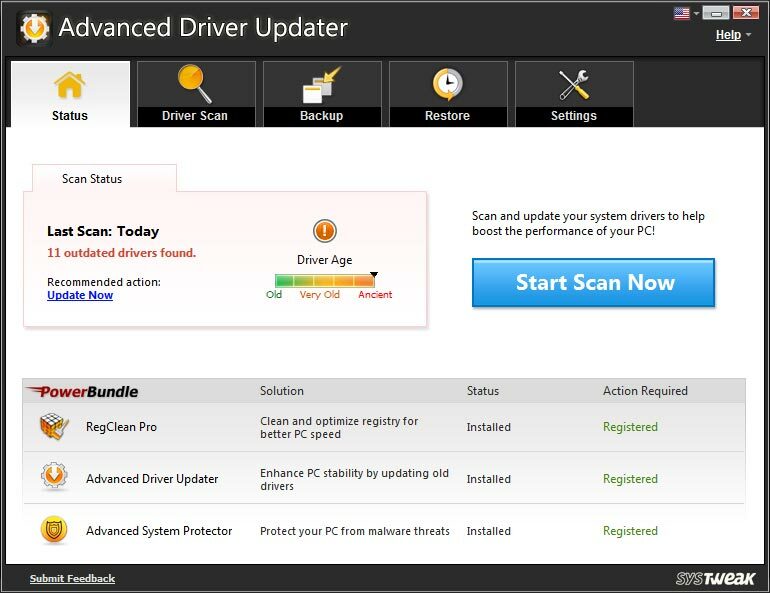 Advanced Driver Updater has an extensive database which consists of the latest and most updated drivers in the market. It scans your system and displays a list of outdated drivers. All you need to do to update to the most recent ones is click a button. A backup of the old drivers is taken automatically and the newest drivers are installed. It is just that simple. If you do not like the latest driver or it is causing any problems, you can easily restore the backup.